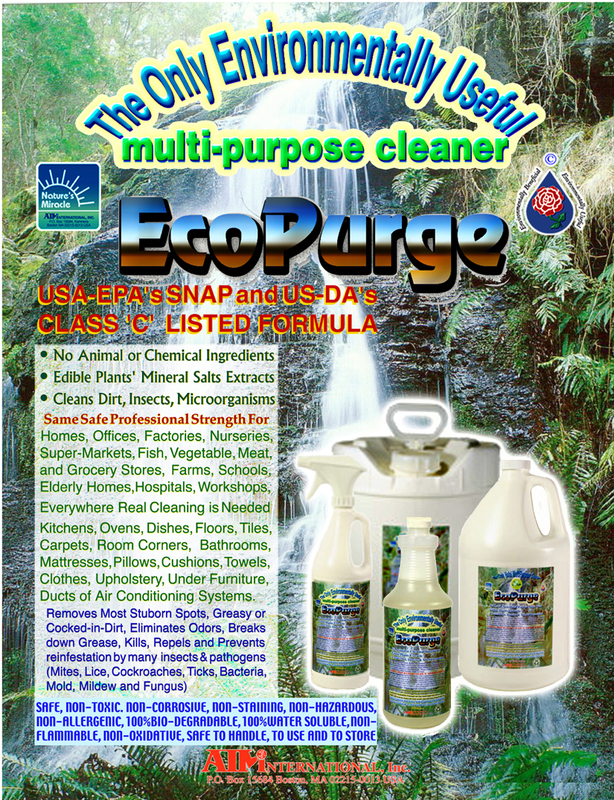 EcoPurge™ is a unique environmentally useful organic all-in-one protective cleaner and potent insects, pathogens and odor neutralizer. It is not only environmentally safe but is also ecologically remedial. It is safely useful in Homes, Offices, Hotels, Hospitals, Workshops, Schools, Day-care Centers, Nursing facilities, Elderly Homes, Shower Rooms, Urinals, Zoo's, Correctional Facilities, Auto Detailing, Waste Management and Stagnant Water. It eliminates or neutralizes ants, roaches, flies, fleas and other indoor insects. acids. Extensive field applications prove its very powerful remedial characteristics that can help NEUTRALIZE a wide range of contaminants, eliminates the strongest and most offensively foul odors, controls many types of fungi, mildew, bacteria, viruses and insects. Strong enough to neutralize many toxic hydrocarbon and petroleum-based cleaners and insecticides, even sulfuric and nitric acids; yet, it is gentle enough and safe for people and pets. It can encapsulate hydrocarbons and emulsify oil and grease. It is 100% BIODEGRADABLE, NON-FLAMMABLE, NON-HAZARDOUS, NON-CORROSIVE, NON-STAINING, NON-TOXIC. It contains no animal ingredients. All Cleaned and/or treated areas and items become dramatically clean and free from grease, odor, insects and fungi. Cleaning crews will not experience any discomfort due to chemical, physiological, physical or allergic traumas. Garbage collection facilities will be almost odor free. The formula’s cleansing power is dependent on its deep cleaning ability by penetrating and neutralizing contaminants, breaking down hydrocarbon molecules, thus, allowing more effective penetration; and by enhancing and stabilizing natural enzymatic levels. It works with the environment naturally, encapsulating hydrocarbons, de-greasing and separating oil- and fats-based materials and neutralizing odor and acids. 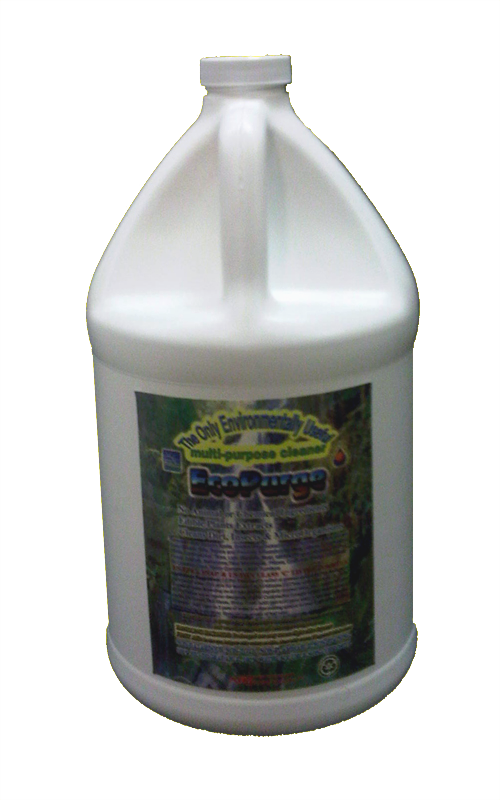 By helping to oxygenate polluted spots, it is an effective neutralizer of many contaminants and pathogens. FACTS ON THE ONLY ENVIRONMENTALLY MULTI-PURPOSE CLEANER. Ministries of agriculture, health and environment in Kuwait, Bahrain, Saudi Arabia and United Arab Emirates in the Gulf region as well as in a number of private farms in the US have tested the efficacy of the formula in controlling odor, insects, mold and fungal growth in compost pins and receptacles, yielded tremendous results. EcoPurge has been used by Wholefoods as was used by Wholefoods’ predecessor store, Bread & Circus, as well as a number of American and overseas international "green", meat, fish and organic stores, with a great deal of satisfaction. Some Wholefoods stores leaders were given samples of EcoPurge and have had the chance to test and saw for themselves the uniqueness of this most safe, effective and wholesome "greenest" cleaner in the market that is formulated from edible plants extracts. They have tested EcoPurge and expressed absolute satisfaction with it, and have already purchased quantities for use in their stores cleaning; especially in the fish and grill areas. 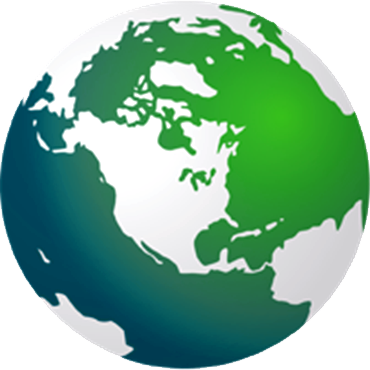 The US Department of Commerce and Massachusetts Operational Service Divisions have promoted our products over the years highlighting their unique plants ingredients, efficacy and, above all, "Absolute Safety". control and waste odor that attracted them in to the apartments, as well as for fungus and mold control.